According the Boone 2003 Study, “Downtown Boone has a small town flair and metropolitan spirit that includes an eclectic mix of shops, restaurants, and services. This high country downtown is full of people who are devoted to its survival and revitalization and are a passionate and enduring population.” This dedication will remain a powerful asset as this area continues to evolve and grow. With over 175 businesses in this district, the streets are typically bustling with people and cars. The northern boundary of Appalachian State University abuts Boone’s Downtown District and creates the intersection of ‘Town & Gown.’ Both Town and University effectively interface within Downtown Boone which creates a synergy of activity in the downtown area. The economic makeup of our downtown consists of independent small businesses, governmental agencies, non-profit organizations, University buildings and small pockets of green space, and both seasonal and long-term residences. Our small businesses includes: 22 restaurants and coffee shops, 26 independently owned specialty shops, 12 independently owned apparel shops, and 10 arts and crafts shops. In addition our downtown is the beneficiary of a strong commitment to cultural activities by the Town of Boone, facilitated in part by the DBDA. 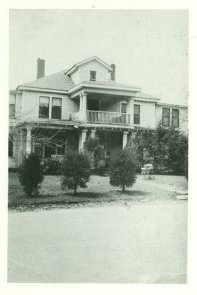 The Jones House community Center offers traditional music classes and is home to several organizations for the arts. Inside the Jones House Community Center you will also find several art galleries and classrooms. The physical character and geography in and around downtown Boone and in Watauga County are extraordinary. The immediate area is home to some of the tallest peaks in the Appalachian Mountains including: Grandfather Mountain (5,964’), Rich Mountain, and Howard’s Knob (4,445’). The New River, the oldest river in North America, runs through Watauga County. Smaller rivers and creeks are plentiful within the county and a few such as Winkler’s Creek, Hodges Creek, Rocky Creek, and Kraut Creek flow through town limits. We host a section of the Blue Ridge Parkway within Watauga County that includes Moses Cone and the Parkway Craft Center. Also in the area, are Tweetsie Railroad, Horn in the West – the nation’s oldest revolutionary war drama – and Hickory Ridge Homestead. Our downtown visitors and residence alike are drawn by the abundance of wildflowers and old growth trees, beautiful fall colors, diverse wildlife, crisp mountain air, and the breathtaking views. 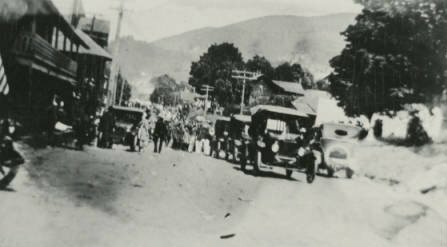 To learn more about the history of Watauga County visit the Watauga Co. Historical Society’s website by clicking here. The Mission of the Downtown Boone Development Association (DBDA), the Town of Boone Main Street Agency, is to improve the central business district of Boone by organizing under the four-point approach of the Main Street Program to carry out each of the following: to encourage property owners to maintain, improve, and beautify downtown properties; to improve our walkways and pedestrian crosswalks; to provide more cultural and civic events downtown; to encourage transportation and parking improvements; and to encourage greater involvement of all property owners, professionals, nonprofit groups and agencies, and merchants in the district. The Downtown Boone Development Association was formed to promote the revitalization of the central business district. 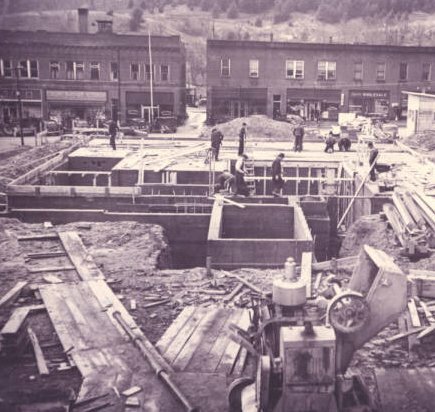 The organization began with the merger of the Municipal Service District Board, which was established in 1987 and the Downtown Boone Merchants Association, which has existed in various forms since 1981. The merged organization gave a single, stronger voice in downtown planning, revitalization and promotion. The programs and services offered by the DBDA are made possible by the creation of the Municipal Service District in downtown Boone; the organization administers district revenues for such improvement projects as community art projects, parking study plans, revitalization projects for major downtown roadways, economic development studies, community events, and street festivals. DBDA programs and services are provided for all residents, renters, and visitors to the Boone area including the more than 70 businesses in downtown Boone and their clientele. Currently, the DBDA Executive Board is made up of twelve members representing a variety of groups with the Town of Boone including business owners, property owners, real estate brokers, town council officials, and several local community organizations. The DBDA also has been instrumental in several other recent activities located in the downtown district. The First Friday Art Crawls, ane evening of activity in downtown, takes place on the first Friday of each month and the DBDA provides promotion for the event. The DBDA is also a long-time sponsor of the Summer Concerts at the Jones House. These concerts are held each summer on the lawn and deck of the Jones House Community Center in downtown Boone. In total the DBDA hosts 16 annual public events that encourage community and business development. 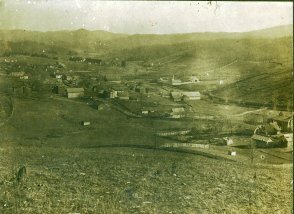 The Downtown Boone Vision Statement was formulated by the DBDA Board from comments received at a public meeting of over 150 members of the community in the fall of 1993 as Boone began its participation in the NC Main Street Program. 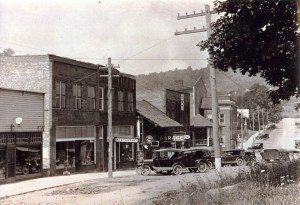 “King Street displays a continually improving vitality because of the attractiveness of the restored storefronts and improved facades that give continuity to Boone’s mountain town theme and distinct identity. Howard Street thrives from a planned development that incorporates the already distinctive buildings along with new business spaces that reflect and compliment the desired theme. The new mix of restaurants, shops, and galleries has created an exciting environment for strolling, shopping, and dining. Other streets and sections also reflect this visual theme and continue to the ongoing upgrade. The new public library graces the old Coleman lot and a community performing arts center occupies the Methodist Church property. The library and the performing arts center also provide facilities for additional cultural and civic events. Several murals (one on the Earp Furniture Building) reflect the historic and cultural importance of Boone.